Some apartments fare better than others when it comes to attracting and retaining tenants. One of the factors that come into play are the amenities and features offered in the home. Here are six apartment amenities that are proven to be big draws among renters. It’s not uncommon for prospective tenants to find great apartments only to turn down the opportunity because of this rule: no pets allowed. And nowadays, this rule is turning off more renters as there is a large market out there that owns pets (65 percent, according to the National Pet Owners Survey). 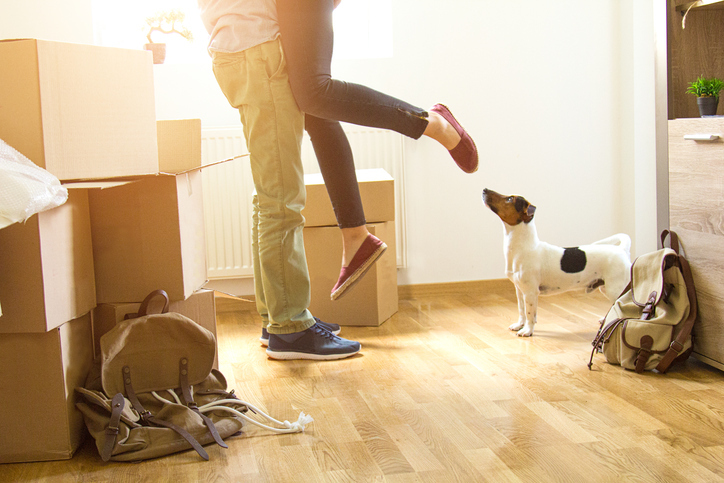 Having flexible pet policies for your rental property will enable you to tap into this market, and there are many ways to implement these rules. On one hand, you can go the absolute route and welcome all pets, regardless of size, breed, or kind, without imposing any fees or deposits. On the other hand, you can add size and breed restrictions, especially if the apartment is on the smaller side. You can also charge additional fees for dogs. This article will guide you should you choose to take this direction. Packing your laundry and taking it all the way to a laundromat can be a chore, especially if you don’t have the luxury of time. Apartments offering in-unit washer and dryer certainly adds convenience. No wonder it is one of the most popular amenities renters look for when searching for apartments. Having greenery in your rental property not only adds curb appeal− it also increases your chances of attracting new renters and keeping tenant retention at a nice rate. If there is space, add a garden with a couple of benches or sitting area. Balconies, decks, patios, and fenced-in yards have also proven to be big draws. For limited spaces, you can still incorporate outdoor living to the apartment by adding small vertical gardens or simply adding plants. It would be so much better than just cement and brick. Depending on the location, this feature is increasingly popular in apartments. Those in hotter, more humid climates look for air conditioning− having windows is simply not enough. Meanwhile, renters living (or moving) in towns or cities in colder climates consider a heating system to be an absolute must-have, especially where temperatures can go below freezing point. Apartments with utilities all available and ready are also incredibly attractive among renters. It saves time and makes moving to the home even more convenient, especially for renters who relocated from different cities or states. The most basic utilities, such as water, electricity, phone, and Internet connectivity should do the trick. A large number of renters have their own cars, making a garage or parking space a must-have feature in apartments, especially in cities where off-street parking is a no-no. Some landlords charge extra for this amenity, while others offer parking space together with the apartment. Learn more about property management and more in San Francisco. Ray Amouzandeh of TARGA Residential Brokerage is the leading expert; get in touch with him today at sfhomez(at)gmail(dotted)com or (415) 494-7009.